Sometimes when you want to help a child learn to read, it pays to think “outside the book.” Unlike many of us, our kids are not only growing up with free access to computers, there is at least one screen at their disposal at all times. Whether they get to the Web from a desktop, laptop, or mobile device, there are fun ways to use that screen time for literacy. Please note: Being on this list does not imply endorsement. We curate content for informational purposes only. ALA’s Great Websites for Kids – Want to know if a website is safe or educational? This is the place to go. Best Wordgame Apps for Young Kids – A collection of curated educational apps via Common Sense Media. BestHistorySites – A collection of history games and animations, ranging from ancient history to modern history. Boowa and Kwala – This site offers fun activities and games for kids that are easy to navigate. Games on History – The History Channel offers interactive games and puzzles that encourage learning in the subject of history. Highlights – Free activities and interactive fun from the children’s magazine HIghlights. See the Book Chook review. I Spy – You’ll find games and puzzles just like Scholastic’s I Spy book series. Check out this part of Scholastic’s huge site that offers games, riddles and fun for the whole family. The games are interactive, and kids who aren’t at the reading stage can listen to the clues. I like the neat zoom in/zoom out feature that enabled me to search the pictures more easily. 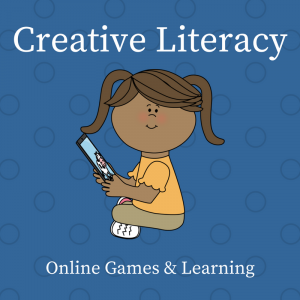 Literactive Online educational games for preschool to Grade 1. The program is comprised of carefully levelled guided readers, comprehensive phonic activities and a wealth of supplemental reading material which gradually develop a child’s reading skills in a sequential and enjoyable manner. Tagxedo – Site that turns words into cloud blocks in a variety of shapes. See the Book Chook review. Bembo’s Zoo: An Animal ABC by Roberto de Vicq de Cumptich. This is an animated version of the ABC book that created animals from the letters in their name. Kideos Children’s video site with lots of content about book characters, nursery rhymes, fairy tales etc. Mouse Cookie Books by Laura Numeroff. Moose, Mouse, Pig, and Cat are all here to play. Pigeon Presents by Mo Willems. Naked Mole Rat, Elephant and Piggie, and the Pigeon himself are ready to play. Seussville Playground – You’ll find the Lorax, Sam-I-Am, and the Grinch, among others.